I love making this simple classic recipe especially in the summer. It’s easy to prepare and makes a really good introduction to a meal or picnic. Cut the vegetables into chunks and put them in a blender. Add half a glass of cold water and blend all the ingredients together. Season with the sea salt, pepper and paprika and add the vinegar, olive oil and bread and blend again for around 2-3 minutes. The oil will emulsify and the bread will add a nice smooth texture to the soup. If it’s too thick, then add some more cold water to dilute. Pass through a sieve and check the seasoning. 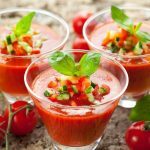 Place gazpacho in the fridge to cool for around one hour. 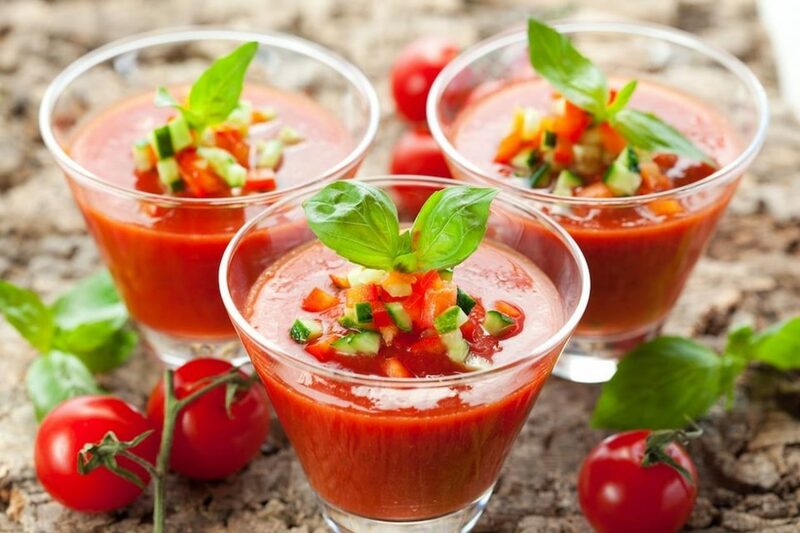 Add ice cubes and cut up pieces of pepper and cucumber before serving in glasses or small bowls. 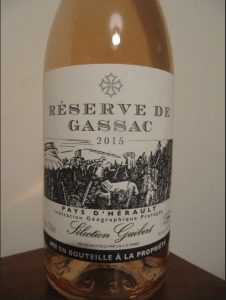 Drink suggestion: 2015 Reserve de Gassac Rosé, Famille Guibert, Herault, South of France. Recipe and wine pairing have been taken from Robert’s book “More Sommelier Stories”.